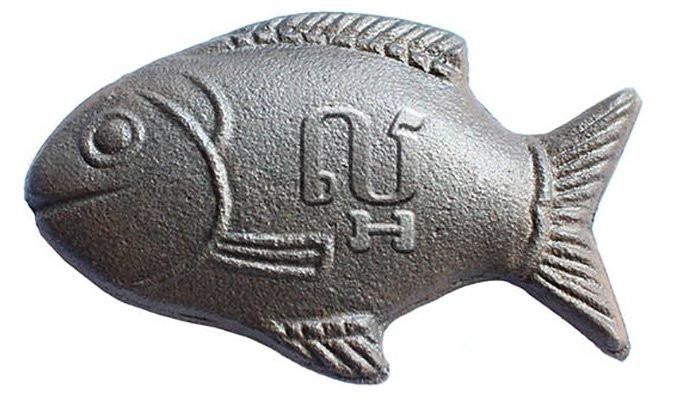 Today I learned about a fish-shaped iron ingot. You can buy one on Amazon! It was invented as a means of increasing the iron in diets of folks with iron-deficiency and anaemia in Cambodia by a University of Guelph student, and funded through Canadian International Development Agency (CIDA). Upon observing that pregnant women in Cambodia were suffering from iron deficiency, and observing that cast-iron cookware would help, but was not viewed as good thing, Gavin Armstrong invented the 'lucky iron fish' and spread the story that it was lucky. He took scrap iron, villagers needing jobs, and started making them. Since they were lucky, who wouldn't want one, and put it in with your soup or rice? Read more about this intersection of science and superstition and entrepreneurship here.